So, on Tuesday, November 8th, I skipped my training run to get out and vote. I’ll spare you all the details. However, this was without a doubt the worst voting experience of my life. I almost didn’t vote at all. What made it so bad? Well, first of all, I did not like either candidate for President of the United States. So, I decided that, since I live in a state who would give Hillary Clinton all of their electoral college votes with or without my vote, I would skip that part of the ballot. Yep. I did not vote for President of the United States. That made me a little upset. 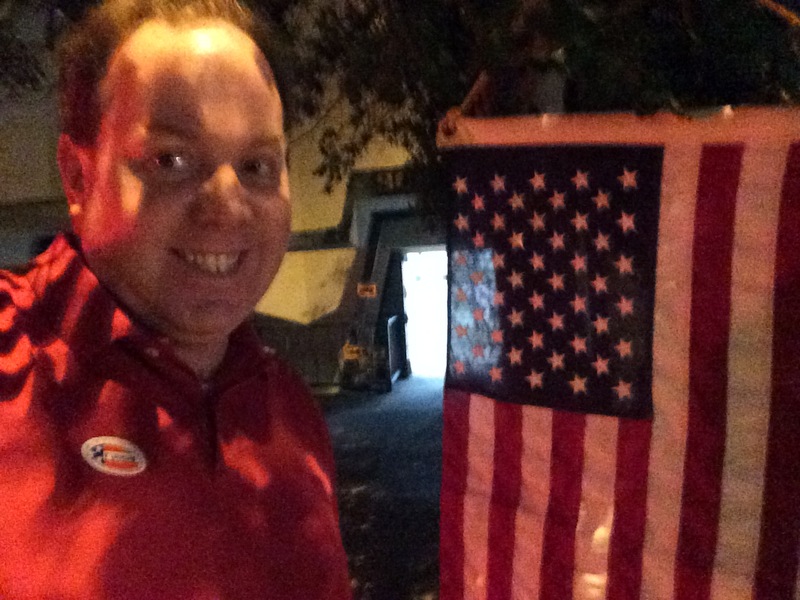 However, I could not in any good conscience cast my vote for either of the two major party candidates. Nor could I vote for any of the third party or accepted write-in candidates. I did vote on everything else. The second reason I was a little perturbed was heavy traffic getting home that night and having to park a few blocks away from my polling place. To top all of this off, when I arrived, I was told that I had to mail in my vote. Since I received a mail in ballot (which I’ve received several times and never used), it was expected that I would vote via mail. 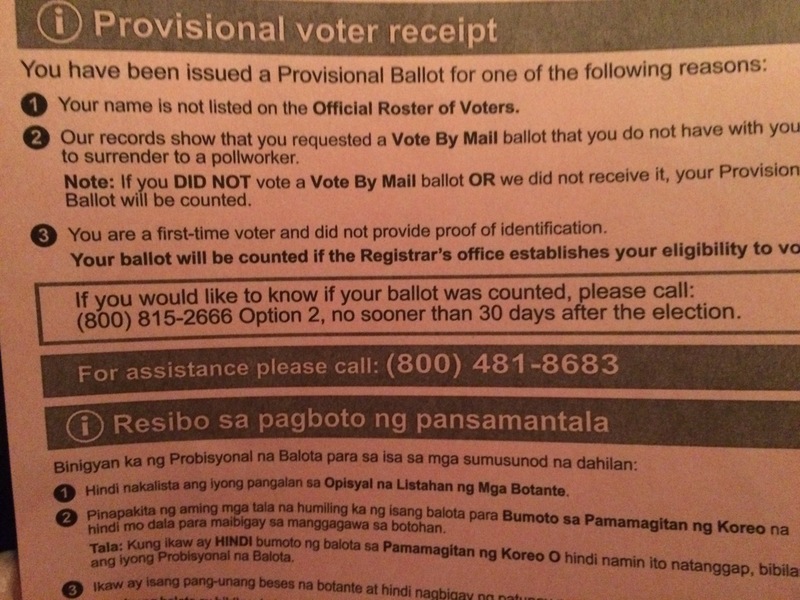 I’ve received these mail in ballots several times in the past and never used them. I always go to the polls and vote in person. Call me crazy, but I like the experience. So, the fact that this year, there was something different that I wasn’t informed of had me a little upset. Then, when the poll workers looked at me as though I were committing some sort of crime by not mailing in my ballot, I got more upset. The first worker who told me I had to mail in my ballot asked if I had my mail in ballot. I did. It was in my car a few blocks away. That person wanted me to go back to the car and bring in the mail in ballot. Given my feelings regarding this ballot, I did not think it was worth the effort. If they had forced me to go back to my car, I would not have returned. Thankfully, another worker told me I could fill in this “provisional” ballot. It was a lot more work than this should have been. But, I got my vote in. So, on Wednesday, I finally got out for a mid-week training run. 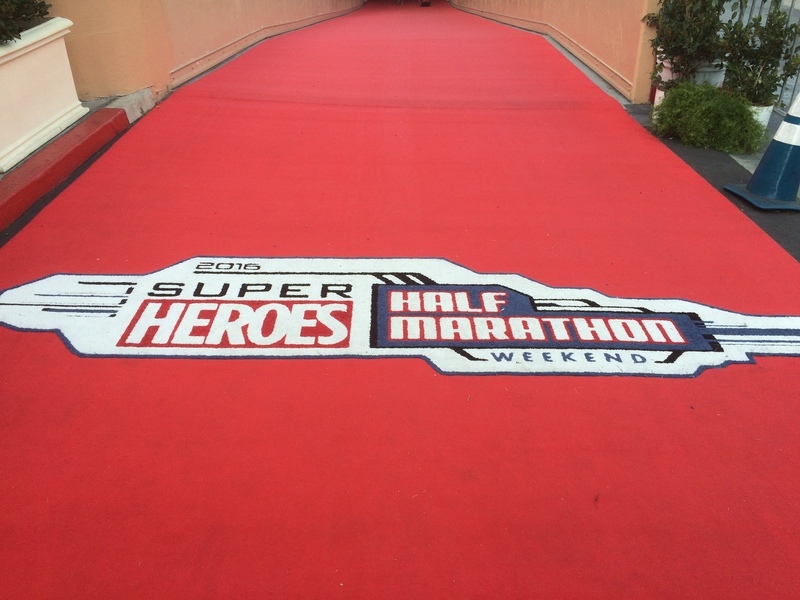 It would be my last before the Avengers Super Heroes Half Marathon. Like I’ve been doing, I went with the run 20 seconds, walk 40 seconds run/walk intervals. Given how the elections turned out and all the negativity on the internet and in the office on this day, I wasn’t in the best head space for this run. However, I didn’t want to miss all the runs for the week. Remember, I missed my weekend run before this one. So, to go more than a week before Avengers without a run would not be a good idea. 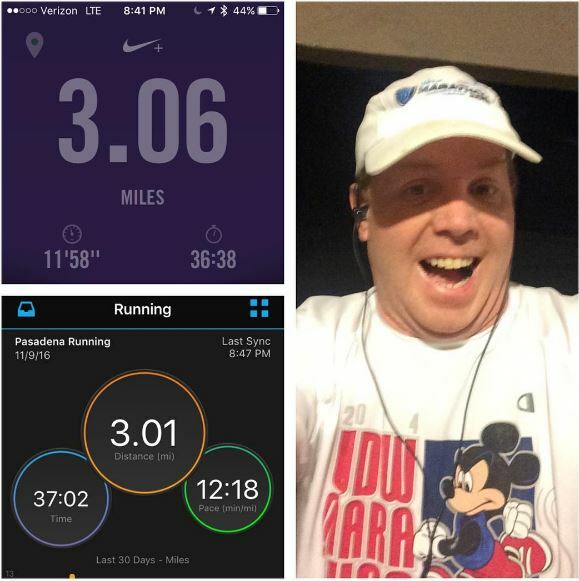 It was my slowest 3 miles in several weeks. However, I did finish the run. You might think I was disappointed with this result. However, I wasn’t. I didn’t want to push too hard on this run and be screwed at Avengers. I knew this would be my only training run left because on Thursday, I had a small group bible study to get to. 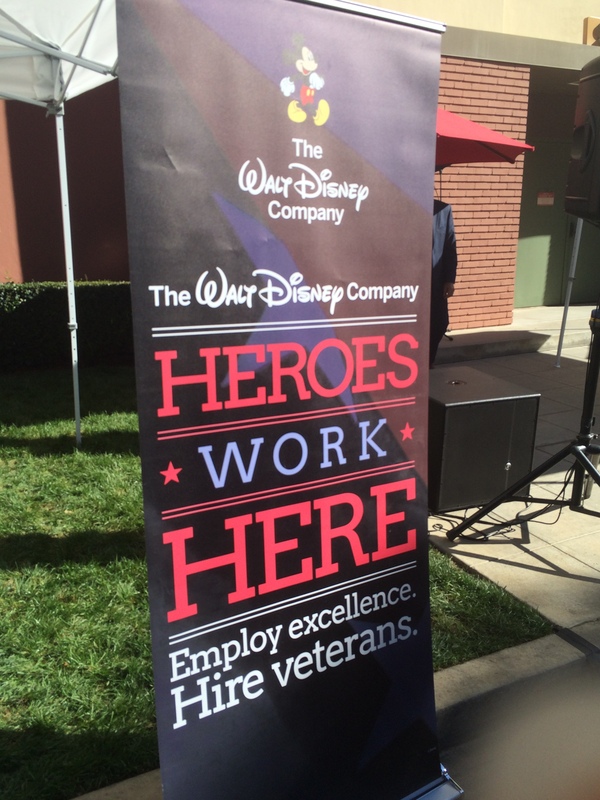 On Friday, it was Veterans Day and we celebrated it at the Walt Disney Studios. The celebration at the studio has really grown. A few years ago, they had a small military brass quartet that played during lunch time. Now, we had a big celebration. 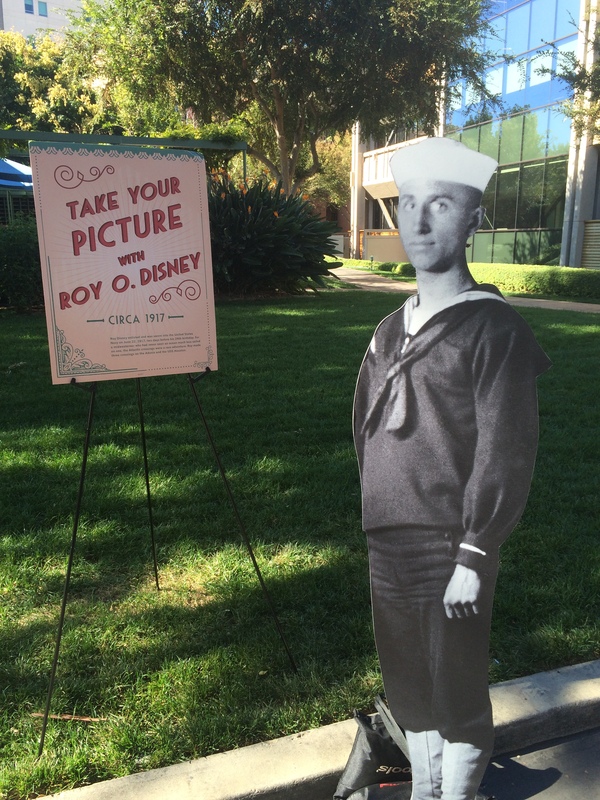 They even had fun things like taking a selfie with Roy O. Disney and Walt in their military uniforms! Saturday, was Avengers Super Heroes Half Marathon Expo day for me! It’s been a while since I have attended a runDisney Health Expo with nothing on the agenda more than getting my bib, race shirt and just wander around. New Balance had announced during this week the 2017 New Balance runDisney shoes. 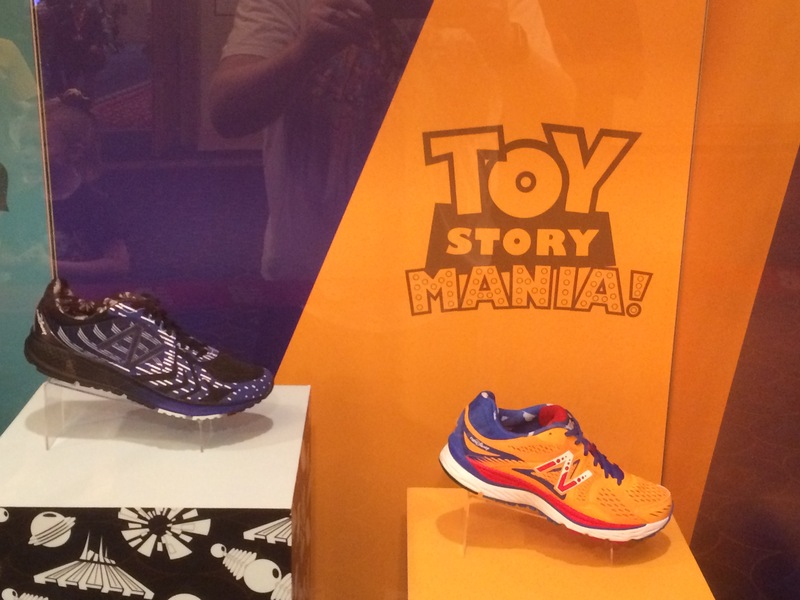 Here are the guys shoes…themed to Space Mountain and Toy Story Mania! 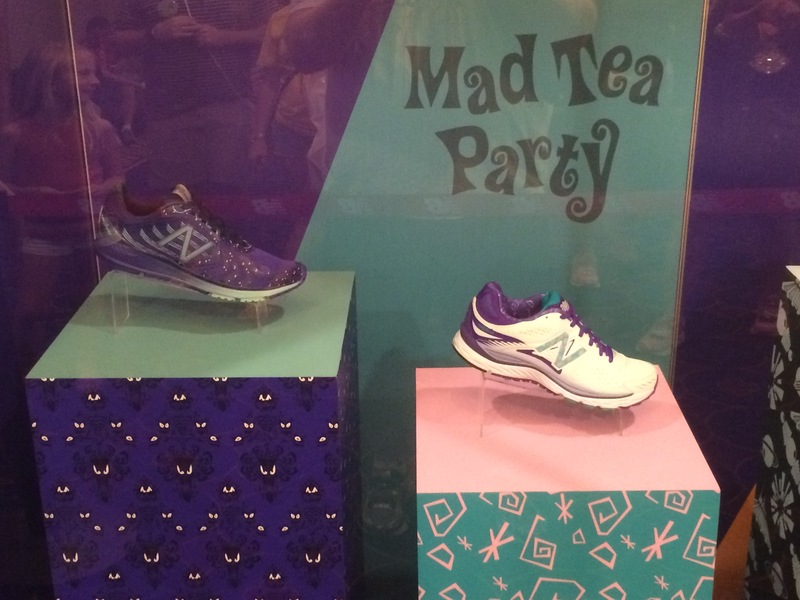 These are the ladies shoes themed to The Haunted Mansion and Mad Tea Party. I’ll go into greater detail of my experience at the expo when I recap the Avengers weekend. For now, I’ll just say that I was surprised at how much official runDisney merchandise was still available on Saturday afternoon. 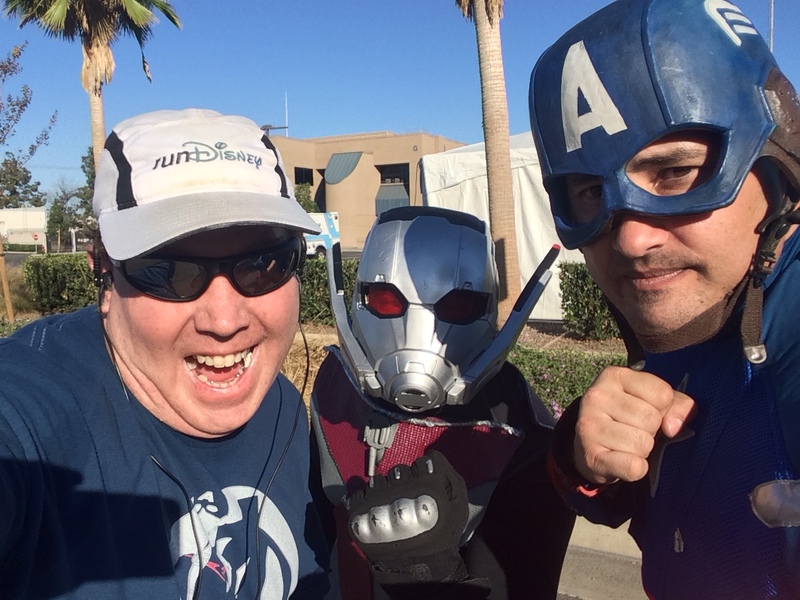 Sunday, it was Avengers Super Heroes Half Marathon race day! I went in with a strategy and hoped for the best. Above was one of a few photos I gave myself permission to take. As was this pic with a few of the Cos Players who were out on the course. I finished the race! Yay! However, this race did not go as planned at all. 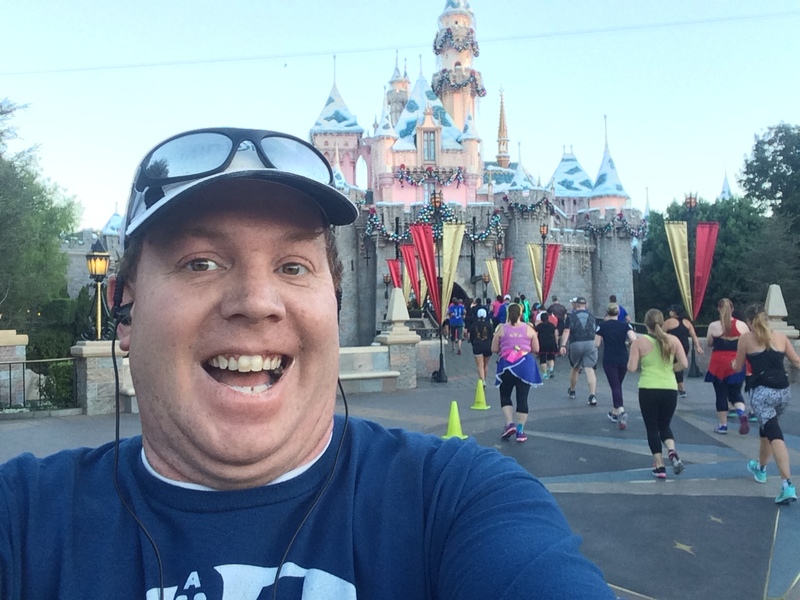 I loved the new race course and hope that runDisney will keep this one. My issues were not with the course design. Again, I’ll go more into this in another post. But, this was not the race I had hoped for. 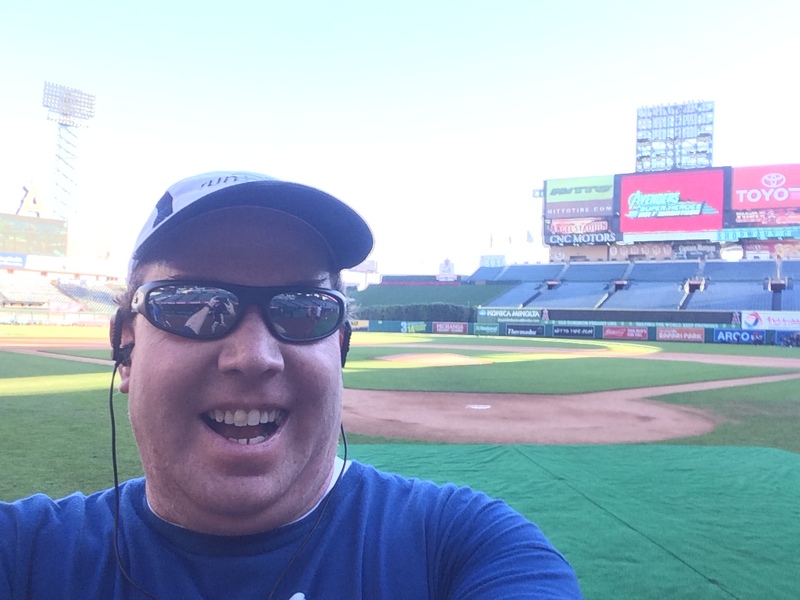 I got that lower calf twinge I’ve had before in mile 9…right as we were approaching the Big A in the parking lot. That was the moment my race was over as far as time goes. I had to walk the last 4+ miles. I finished with my slowest half marathon time to date. To say I was disappointed is a bit of an understatement. The part about walking the last 4 miles wasn’t all that went wrong with this race. I was not on a PR pace when the twinge happened. 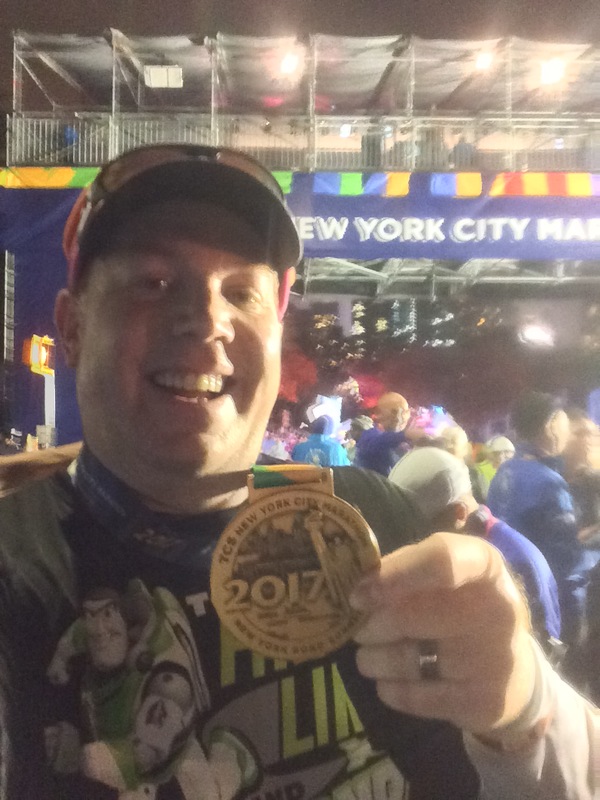 As a matter of fact, I wasn’t even sure, at that point, I would finish in under 3 hours (my B goal) or set my fastest Avengers Half Marathon time. So, I can’t blame this poor result entirely on that twinge. Yes, I should have had pretzels with me (or something salty) to combat this problem. After all, my previous 2 long runs ended similarly. As I walked those last miles, I spent some time thinking about what went wrong and how I might go about fixing the problem. For me, it all came down to a poor last 2 months of training for this race. After my 9 mile run, I should have finished an 11, 13, 15 and 17 mile long runs. I only finished the 11 and 13. Add to that, the salt problem that lead to the twinge and you have the makings for one bad race. The good news is that it can all be fixed. 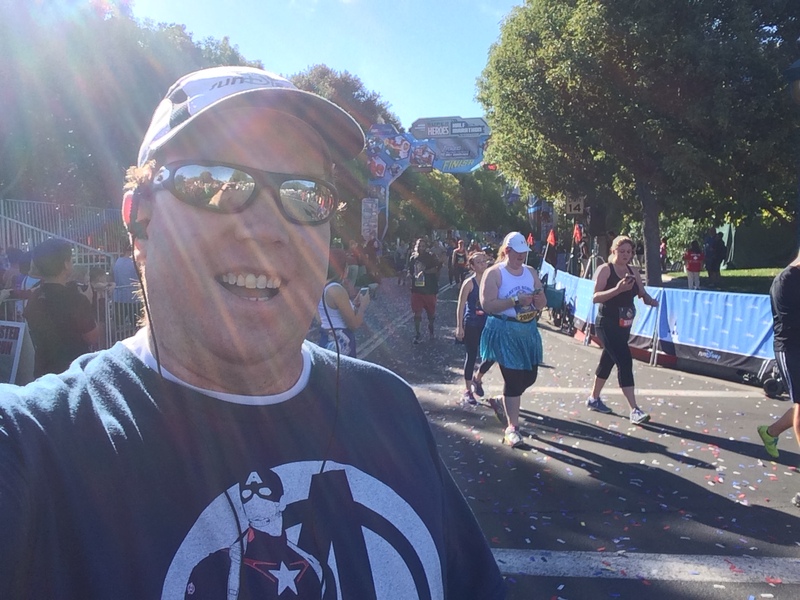 Even with the bad run, I’ve now finished the perfect tri-fecta of Avengers Super Heroes Half Marathon races. 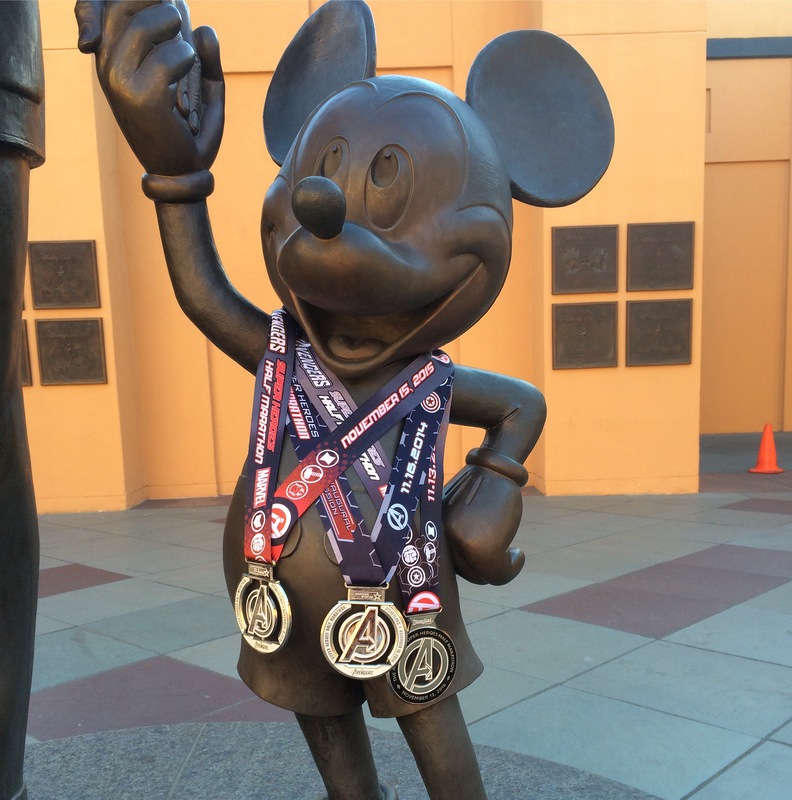 I think Mickey needed all three medals. It was a bit warm. I saw you and Devin on your way back to Disneyland from Angel Stadium. Unfortunately, I saw you as you were passing by and couldn’t say anything before you had passed by.